As a social-venture structured as an SDVOSB and operated by a team of armed forces veterans who combined have 150 years of military service and 200 years of experience working at all levels in the fitness industry,VFCC provides veterans an unprecedented military transition path to a rewarding fitness career by providing a cutting edge online Personal Training certification, proven fitness business building course, quality job referrals to our career partners, and mentorships. The VFCC 8-week educational program is specifically designed to prepare you for a career as a Personal Trainer by empowering you with the necessary skills to be successful. This certification course introduces you to VFCC's proven systems, sciences and tools for career success in the fitness industry. This eight-week program is designed for veterans and students interested in pursuing a fitness training career. Military veterans are targeted for enrollment to help them develop a niche in the fitness industry, but the course is open to non-veterans as well. The online course is taught by 27 of the most well-known and progressive health and fitness educators in the fitness industry. They are professors, physical therapists, exercise physiologists, biomechanists and some of the top personal trainers in the world. In addition, program support and guidance are provided by our team, a group of highly qualified veterans of the armed forces who all have extensive experience in the fitness industry. The wellness industry is one of the 30 fastest growing job markets in the country. Because of VFCC’s employment partnerships with Gold’s Gym, 24 Hour Fitness, and other health clubs, students acquiring VFCC’s Level One Fitness Training Certification will have a unique advantage in securing employment as a personal trainer or fitness instructor in a gym or health club. The course consists of online instruction, including videos, downloadable text, video-based questions and answers, questionnaires, and online workshops and webcasts. Students enrolled have access to support services, tutoring, coaching. Students also have electronic access to a Global Fitness Community and library. Topics of study include human anatomy; the cardiovascular, nervous, digestive, endocrine, and energy systems; biomechanics; nutrition; physiology; behavior training; movement; personal training; communication; motivation; myofascial lines; metabolic techniques; basic exercise science; exercise equipment; liability and risk. Students spend 8 clock hours per week and must complete 65 clock hours of instruction and pass an exam at the end of the course. 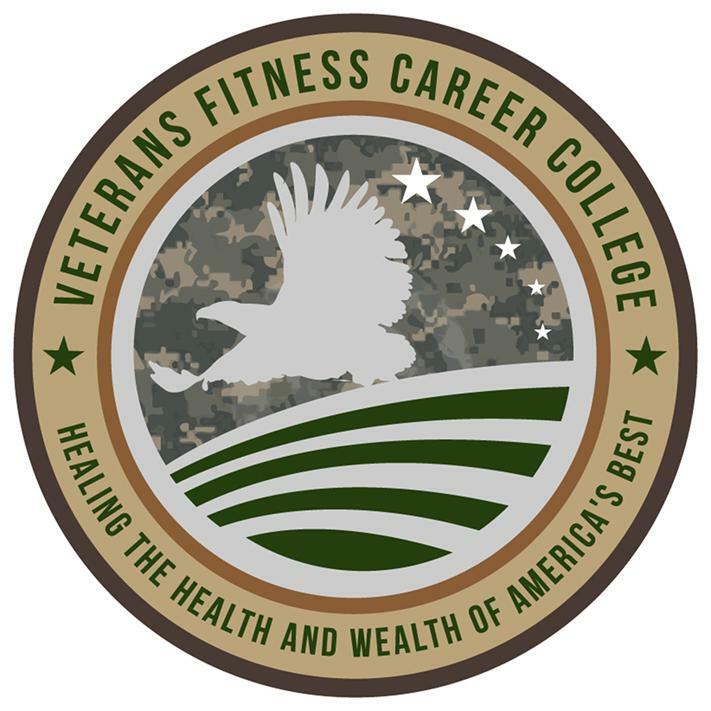 Successful graduates will be awarded a lifetime Alumni Membership with the Veterans Fitness Career College Global Community, and they will be prepared to take the PTA Global Certification test which is recognized internationally. Some students may also be eligible to have the course documented as a S or U on a University/College transcript with our partners. Contact chris@vfccollege.org before enrolling if you are interested in having the course documented on a college transcripts you will need to enroll through one of our partners. Personal Training and Body Systems: Students are introduced to the field of Personal Training. Important systems within the body are discussed: cardiovascular; nervous; digestive; endocrine; and energy. The scope of common practice is presented and discussed. Physiology and Biomechanics: This module focuses on the skeletal system, muscle physiology, and biomechanics. Lifestyles are discussed. How to make serious work more fun is covered. Risk and Liability: Risk and liability are serious issues in this field of study. Recommendations are provided regarding the management of these, while maintaining a client focus. Benchmarks are presented. Fitness, Nomenclature and Equipment: This field has unique language and equipment which must be mastered. Utilizing these effectively takes time and practice. Customizing exercises and preventing injuries are focused upon here. The importance of flexibility is emphasized. Basic Exercise Science, Anatomy and Program Design: This module concentrates on adapting basic exercise science principles into individualized program designs. Functional anatomy, posture, weight loss, wellness and conditioning are topics of attention. Various approaches to program design are analyzed. Movement and Motivation: The importance of movement to good health is emphasized. Manipulating workouts and making them fun is covered. The importance of stretching and games are discussed. Exercise Progression and Workplace Practices: How to accurately assess progress is presented. Exercise progression and timing are discussed. Changing behavior and motivations are covered in some depth. Nutrition: Nutrition and body fat are focused upon in this module. Special groups – women, children, the elderly – are discussed. Effective practices are presented. 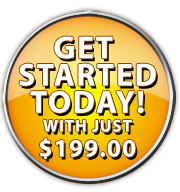 Review The last session deals with final exam preparation and course evaluation.